Open innovation is never easy at the best of times. Not least because it’s underpinned by three counterintuitive truths that can trip you up if you don’t keep on reminding yourself of them. 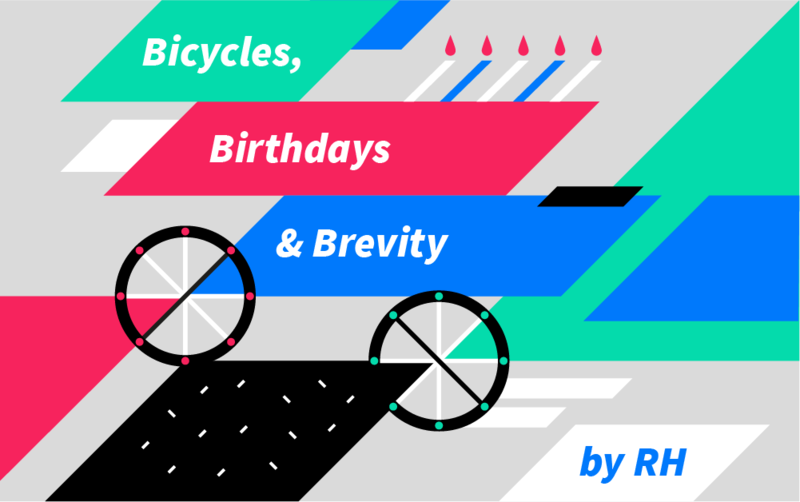 These paradoxical principles are best illustrated through three examples relating to birthdays, bicycles and brevity. Firstly, you are more connected than you can possibly imagine. This is because our brains can’t handle the compounding power of exponential* growth. This is best illustrated via the birthday paradox which shows that the chance that 2 people in a group share a birthday requires just 23 people. 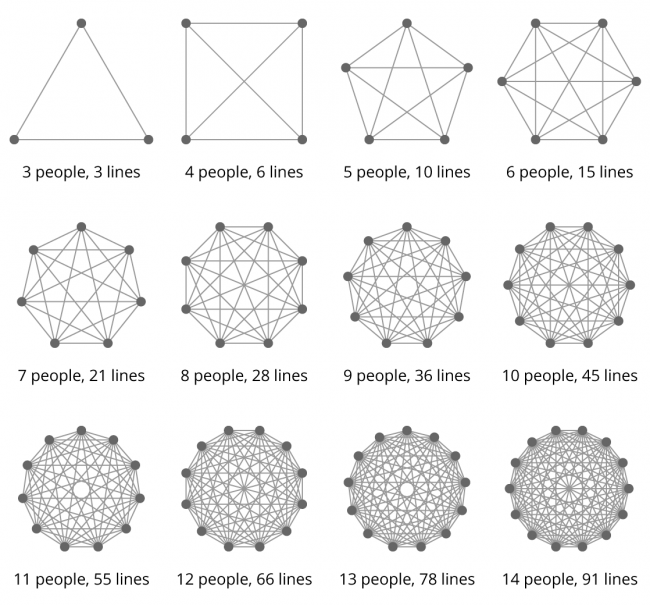 The image below shows how the number of connections between groups of people (of dots) increases rapidly and unexpectedly with each extra person. The consequence of this is that we are just one step from literally anything and everything. This is both exciting in that opportunity lies all around us. However it is also terrifying in that it makes it harder to know where to focus your open innovation efforts. Secondly, our brains are rumoured to only hold a mere 1GB of data, and we know a lot less than we think we do. In fact most knowledge actually resides in the brains of others and so it is access to knowledge that is more important than the knowledge itself. For instance in this recent blog post we described an excise about assessing your level of knowledge about a bicycle. It turns out most people think they know more than they think they do about bicycles. What about you? 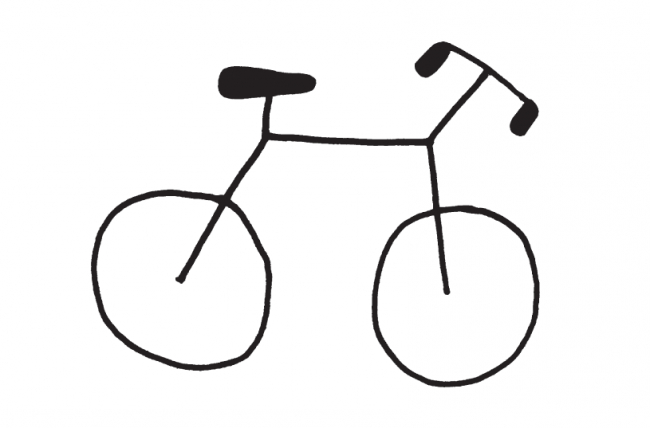 Try completing the following sketch of a bike adding chain, pedals, frame etc and then use that to explain how a bike works to somebody else. Knowledge is actually a highly social and collective enterprise. The era of the lone genius never really existed and is now completely obsolete. Effective social skills are essential for any successful open innovators to successfully tap into the wisdom of crowds. Lastly, less is always more. We live in an era of ever increasing data and shrinking attention spans. So whenever anything is communicated, what is actually heard is usually very different as this amusing video illustrates where a group has been tasked with sending three physical gestures down a line without speaking, which is a lot harder than it sounds. Ernest Hemingway: “For Sale; Baby Shoes, Never Worn” – The shortest novel ever written. Muhammad Ali: “Me, We!” – The shortest poem ever written. 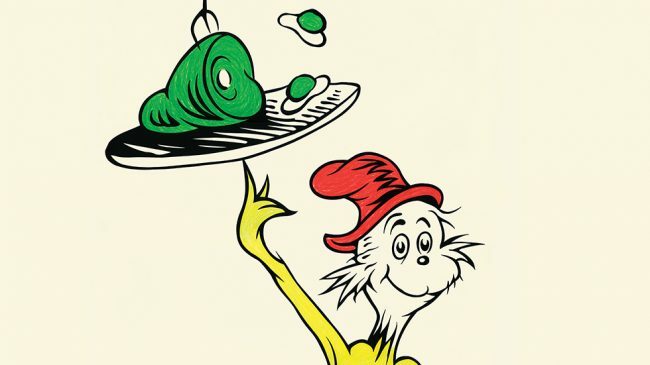 Dr. Suess: Green Eggs and Ham – His best selling novel written (for a bet) using just 50 different words. Open innovation requires supreme communication skills in order to attract interest and engagement, especially through asking interesting questions. *Mathematically speaking the birthday paradox is actually underpinned by geometric growth not exponential growth but the net result remains the same. Note: This post is adapted from a talk I gave yesterday at Ravensbourne College Masters of Design Innovation Management. A copy of the slide deck used is available here.